For all the couples planning to get married in the next two years, Art of Celebrations are now offering services of their experienced wedding planners and designers in Toronto. Wedding planners are a one team solution to all your wedding planning, guest management. Our wedding planners are experienced in arranging weddings for various cultures and different sizes. Our planners have arranged many pre wedding events at different locations, food and beverages for those events from different vendors. Toronto is a proud multicultural city. We have arranged weddings for couples belonging to different ethnicities, religions and sexual orientations. We provide our services to everyone. Our expert wedding planners in Toronto will handle all the wedding logistics on your behalf, without comprising any of your requests for your wedding. It is your wedding and it will be as you have always dreamed of- a spectacular and memorable event. During our initial meetings we will ask about their plans and dreams for their wedding. We will ask about their preferred locations, food choices, beverages, number of guests and events(before and after) the wedding reception. We show our clients various options of linens, flower arrangements and preferred vendor lists. These vendors and caterers offer supreme quality services and foods at preferred rates to all of Arts of Celebration clients. Our wedding planners have salvaged broken heels, crooked cakes, misplaced bouquets and discreetly handled drunken guests. Wedding planners from Art of Celebration will never compromise the integrity and soul of the wedding. Our ratings and reviews by our previous satisfied clients show our dedication to premium service and attention to detail. Art of Celebrations is a full service wedding company. Along with well prepared and equipped wedding planners we also offer exclusive services of wedding designers. These designers are trained to make your wedding #insta and “pin” worthy. Our designers are up to date with all the latest wedding trends, celebrity weddings and latest colors. Our wedding services are available along with our wedding planner services and also independently. Our clients enjoy significant savings bundle when they choose to use multiple wedding services offered by Art of Celebrations in Toronto. Our wedding designers can transform any venue as per your choice of décor and colors spectacle. We will coordinate colors, flowers, center pieces with the theme and colors of the wedding. The wedding designer will make and transfer gift items for guests, center pieces, flower decorations to any venue in and around Toronto. These decorations will be first approved by the couple and then an appropriate order will be placed with the vendors. These orders will be shipped and displayed at the venue before guests arrive. Our wedding designers have an extensive experience of putting up photo booths, red carpets along with flower and light decorations for the entrance of the couple and wedding party. We also set up audio and video equipment as per the request of the couple. We catalogue all the decorations on celebrity and our client’s weddings. These pictures and HD videos help our future clients understand our services and commitment to the high quality. 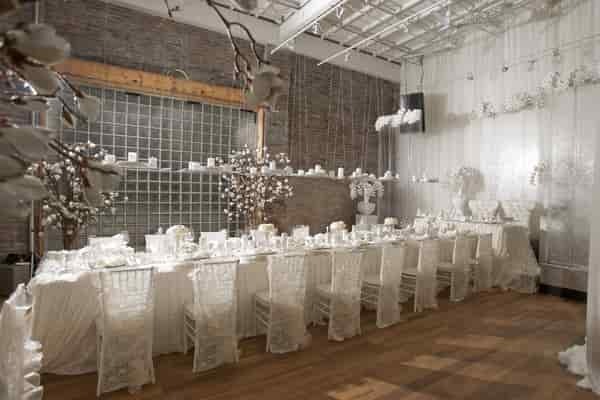 Our wedding planners and designers have helped many Torontonians arrange one of the most memorable events of their lives. Art of Celebration has an impeccable record of providing optimum wedding planning services to couples from all background and cultures. We have learned a lot about weddings in different cultures from our clients. We bring this diverse experience, high quality services to help you plan and execute a wedding with all the great and enjoyable memories for life! To book a complimentary consultancy session with one of our wedding planner and designer in Toronto, email or call us today!